Atopic dermatitis is a very common skin disease that can produce tremendous physical discomfort and psychological distress. It is a dry itchy skin rash that tends to be worse in the winter and more dry months. The condition affects approximately 3 percent of the U.S. population and is also seen worldwide. Atopic dermatitis is frequently seen in individuals with a personal or family history of related history of related disorders, including allergies (hay fever) and asthma. About 20 percent of patients with atopic dermatitis don’t have any other associated allergic history. Skin lesions may begin at any age, although mainly from infancy to young adulthood. Most patients recover from the disease in early childhood or by their mid-20s. However, some patients’ disease may persist throughout life.Atopic dermatitis appears as a chronic, itching, superficial inflammation or redness of the skin. The typical skin lesions begin as a red rash with multiple small bumps and/or blisters. 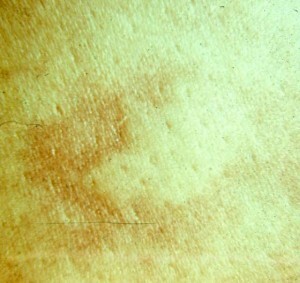 The most distinguishing features of the disease are the location and distribution of the skin lesions. In infants, the rash commonly begins on the face and scalp with red, dry spots. In adolescents and young adults, the rash typically occurs on the elbow bends (front of elbows) and back of knees. It is also seen on the face, neck, and upper chest in areas of skin folds. Many patients also have dry skin all over their body. The initial skin rash can become intensely red, blister, ooze and form scabs. A common complication of the disease is secondary bacterial infection, which may often necessitate antibiotic treatment. Severe itching leads to repeat scratching of lesions – hence the “itch-scratch-rash-itch cycle.”, Because of the persistence of this itch-scratch cycle, the skin may become very thickened in these areas from rubbing. Severe and constant itching is the grand hallmark of the disease. The cause of the disease remains largely unknown, but an inherited or genetic pattern is often seen in families. Fortunately, there have been some recent innovations in this field by the introduction of dynamic, new therapies which involve non-steroid type of medications like Elidel cream and Protopic ointment. These therapies have the advantage of avoiding some of the common bad side effects with steroid creams like skin thinning and long term skin changes. For more information, please call (949) 582-7699 or visit the practice website atwww.lagunaskincenter.com.